On September 28th 1960, just a few months after its accession to international sovereignty, Senegal became a member of the United Nations. Since then, the country has been elected twice a non permanent member of the Security Council between 1968-1969 and 1988-1989. In addition, Senegal has been a member of the Economic and Social Council (ECOSOC) six times and has held a seat at the former Commission for Human Rights for almost 30 years. 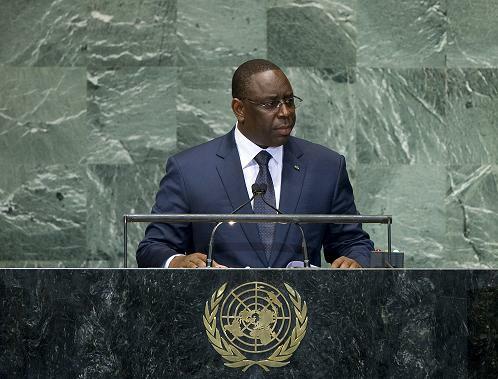 This outstanding presence, in the major bodies of the United Nations, not only demonstrates the important role that Senegal plays on the international arena, but also the attainment of the international community trust; confirmed by its brilliant reelection to the Human Rights Council in 2009. In fact, Senegal, a land of peace, tolerance, dialogue and democracy, has vouched, since its adhesion to the UN, to fulfill its obligations in accordance to the UN charter, in order to promote the ideals of peace, tolerance, freedom and better living conditions. As early as 1960, Senegal has integrated the group of countries that contribute troops to peacekeeping operations and participated in more than two-dozen missions of the United Nations. As of April 2010, 2232 forces were deployed in eight operations (DRC, Liberia, Ivory Coast, Haiti, Timor-Leste, Darfur and Central Africa/Chad). Senegal is ranked 14th out of 115 countries in terms of contributions to the peacekeeping operations. Consistent to its faith in the respect of human dignity and to its commitment to individual and collective liberties, Senegal gives great importance to the promotion and protection of human rights, this constitutes a primary axis of the country’s action in the United Nations. Senegal works towards the strengthening of dialogue, through forums which are capable of promoting a fair and equitable approach to the protection and the promotion of human rights. Based on universal values, these forums should take into account cultural specificities, in order to avoid any form of confrontation which can become a source of conflict. Third pillar of the UN action, economic development occupies a main position in the agenda of the United Nations and Senegal. With the selection of the Permanent Representative of Senegal as the coordinator of the negotiations of the final outcome document of the Summit on MDG’s, (September 20th to September 22nd 2010, in New York), Senegal will play a determinant role to play in building a framework for this major global program.